Listed below are instructions on how to import materials from one Moodle course to another. If you are importing content from a Master Course, or a course in which you made recent changes, be sure to first make a backup of the course before importing the content. For instructions, visit SNAP: How to Backup a Course. 1. 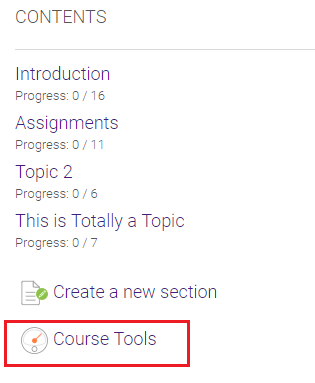 Log in to Moodle and click on the course you want to import content into (e.g., your new course). 2. Once entered into desired course click Course Tools. 6. A message regarding the courses restoration will appear, click continue to view the restored course.